Just took a look at the experimental loooooong range European forecast computer model. 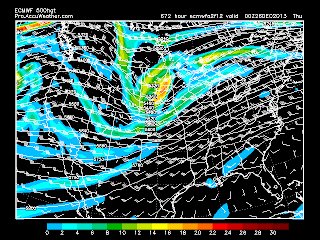 The model reaches out to December 29. Before I get in to the observations, let me quickly touch on something coming for later this week. COLD AIR!!! This morning at 10am Central, the temperature was -38° in Eagle, Alaska. Cold air is definitely recharging over interior Alaska. Computer models have been advertising for days that cold air will be on the march in to the United States for mid to end of the week. The question all along has been "Just how cold?". The data has been suggesting VERY cold air but often times the models will start to moderate the temperatures as we get closer to it happening. This appears to not be the case. Some of the coldest air in four years could arrive in Colorado by Thursday. The cold front will pass Wednesday but the brunt of the arctic air arrives a day later. Ahead of the front, temperatures will be in the 60°s and perhaps 70°s in southern Colorado. By Friday morning, temperatures could be 60° to 75° degrees colder. Yes, temperatures look like they could go below zero. And by Friday afternoon temperatures may struggle to get out of the single digits. The cold air will push east and arrive in the upper-Midwest Friday and Saturday. It looks very cold north of I-70 and very VERY cold along and north of I-80. Looking at 6pm CT December 25. Thunderstorms in the Midwest December 10. Warm-up in Colorado December 12-13. Quiet weather for the United States December 21. Mild temperatures for Colorado, Missouri, Illinois and Indiana. Mild weather for Missouri, Illinois, Kentucky and Indiana. Normal to slightly above normal temperatures for Colorado. Snow moving through the Dakotas. If you are hoping for a White Christmas in the Midwest, the way it looks right now it doesn't look likely. In fact, there doesn't appear to be a need for winter coats during the afternoon. 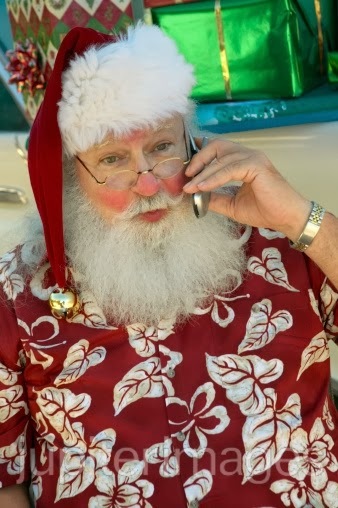 Santa Claus may indeed be able to trade in the cold weather jacket for a Hawaiian shirt. 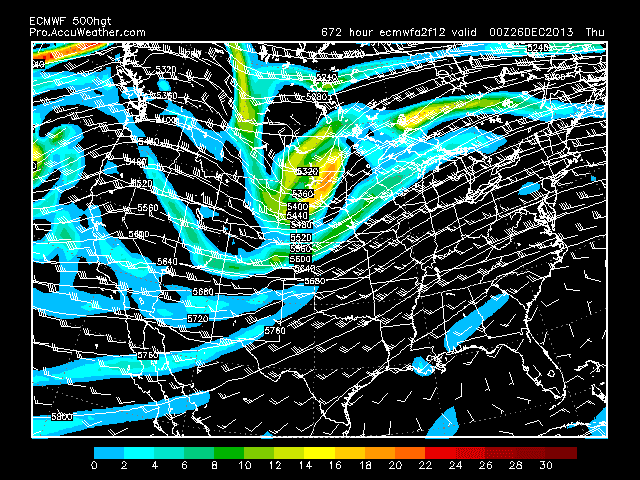 If you are traveling for Christmas, things look A-OK for much of the country on the 23rd and 24th. As I like to remind... Keep in mind, the model is just that. A computer model. The farther out the model looks, the higher the possible error rate. The key to look at this kind of data is not to look at specifics but instead trends and long wave patterns.